Put together three instrumental virtuosos: Sir Richard Bishop of the Sun City Girls on guitar; Ben Chasny of Comets on Fire and Six Organs of Admittance also on guitar; and free-improv drummer Chris Corsano, who has played in the past with Thurston Moore and Bjork. And what do you get? Well, we’re not entirely sure – it’s thrashy, psychedelic, menacing, rocking, and it most certainly doesn’t have a chorus. But it’s also a twisted kind of genius: cacophonous, bewildering, and definitely something to be experienced live. 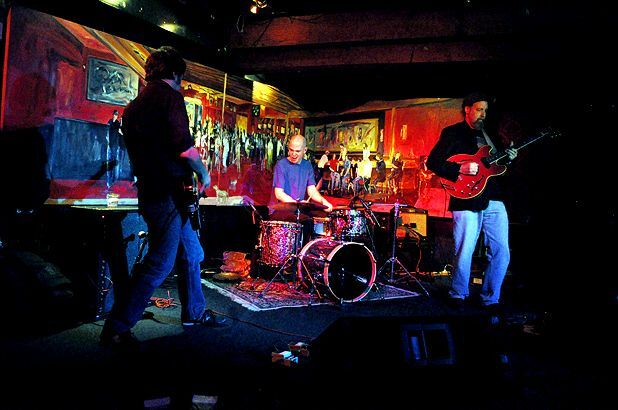 The US-based trio plays experimental psychedelic rock. The American trio plays experimental rock. How Come DJs play experimental, psychedelic and rock, plus live performances from Acid Mothers Temple with Rangda, Stearica, F**k Off Batman and Disgusting Monstrosity. Psych and noise rock by the band from Seattle. Boundary-pushing rock outfit from America.